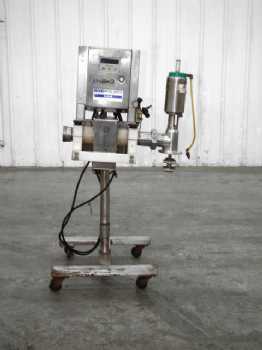 Pipeline metal detectors are used in the food production industries where it is necessary to inspect liquids, pastes and other flowing products as they pass through the processing pipelines. When metal is detected, a reject valve opens, allowing the product with metal to exit. Metal detectors are used to detect even the smallest pieces of metal. They are usually put in a packaging or processing line as a safety check as the products move through the line. Different products require different methods of metal detection.